Tag Archives: How can I build a marketplace mobile app? Building and launching a successful marketplace mobile app is a tough challenge that involves a lot of brainstorming and proactive thinking. The process of creating a marketplace app goes though several segments like market research, trending elements, customer development, target niche, MVP, marketing and scalability of product. 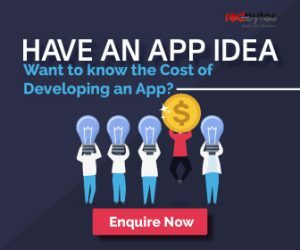 The ultimate success of such app depends on how customers respond to your offerings and whether or not your app has unique value proposition for users to connect with. Being an avid mobile app development company in India, we keep a constant vigil on how marketplace app landscape is shifting and what is that you need to achieve the competitive edge. Before starting any project, the key is to establish clarity around idea you are working on and expanding into a full-fledged product. It all begins with analyzing your exact requirements and see through them to determine your goals. You can run a market check and ask people in your group who might have constructive and thoughtful opinions on general expectations from marketplace app. Collect the suggestions on app vision, user types, features and interactive elements, etc. based on these, build a wire frame and specifications. For all this, you need to collaborate with a mobile app development partner for meticulous guidance and implementation of ideas. Performing every single task on your own would be way too overwhelming and exhausting. You need reliable assistance from someone who has extensive reach in the market and proven experience of creating a marketplace app. 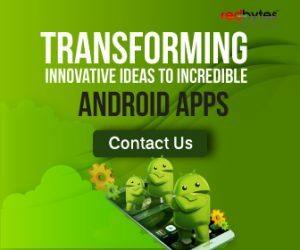 There are many online platforms where you can access suitable app development partners and easily collaborate with them. However, make sure you are able to feel compatible with their business model along with their communication practices, pricing structure and project approach. Take an honest look at their references and past record of relevant projects before shaking hands with them. 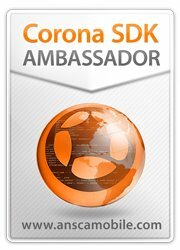 The marketplace app specialist you hire should guarantee access to the source code and delivery of all the features and design you have proposed. Having a unique value proposition is what sets you apart from others in the similar market. Define your goals and create a value proposition that makes your ecommerce marketplace special and considerable. You can build your own niche and invent a space even in the market where such apps exist comfortably. During the phase of proposition development and ideation, you can approach your prospects with a request to share their opinions on how they would like the current marketplace apps to be and improve to deliver more value. The journey of building a marketplace app is incomplete, if it does not incorporate achievement of nearest competitors. Keeping a sharp eye on your competition is the best way to determine strength and weaknesses to surpass them. Like every other business, you need to weave a solid business model for building a marketplace mobile app. It is the most crucial aspect based on which your business follows the path to successful customer acquisition and revenue generation. Devised strategically, marketplace app business model serves as a foundation for company’s performance and drives a momentum you need for consistent profitability. The central part of this business model is formed by customers who will rely on your marketplace for specific purpose. A clear business model is the one that understands every group of customers and segment them based on their varied requirements. You can create the best personalized offers and propositions for every segment of customers and serve them the products in the way they want. After you have finished working on customer segmentation and market analysis, you can venture into developing an MVP (minimum viable product) for your marketplace app. For this, make the best attempt to build and integrate the most relevant features and functionalities essential to test your idea in the market. Follow the wireframe you have prepared in the earlier phase for designing the best features. Make sure that your development partner stays up-to-date with customer feedback and frequent iterations. To minimize the cost-driven disasters and pitfalls, it is important to take care of iterations during the development of MVP and coding process. After the success and market fitness of your marketplace MVP, you can think of expansion and scale your original product at a sensible pace. After you have launched an MVP and before starting to focus on expansion, the vital area of concern is to check the impact of the product on the target market through analytics. Look around for how competitors charge their clients and users for availing the marketplace services and then try to mull over what you can do differently to establish an original monetization system. Start small by approaching specific customer segments and then make changes as it grows and introduce several revenue channels without compromising service commitments. Usually, a small percentage of earning is charged from both buyers and sellers for creating comprehensive and un-objectionable monetization. After you are confident that your marketplace app is doing well and has achieved enough crowd of users, you can move towards growth. a) Target Multiple Platforms: If you have not released the product on most accessible and popular platforms (iOS, Android or Windows), now is the time. To reach more users who use diverse mobile platforms, you should launch the app on those most preferred platforms. b) Enhance the Functionality: It is a good idea to improve or revamp existing functionality or add new features to give users even more engaging experience and luxury. Interact with users and extract their needs to develop innovative features to their taste. c) Build a Community: Add elements of storytelling and blogging to let the audience share their opinions and ideas. Such idea is mainly focused on building a larger community and creating more engagement. You can be more imaginative and organize events that capture further more attention from users. d) Third-Party Integrations: This tactic always comes handy for any successful online commerce and marketplace app that thrives as users thrive. Leverage third party integrations such as payment system, GPS services, chat messages or personalized email facility are a few to consider. By giving an eye to the insight on how to build a successful marketplace mobile app, I hope you are all equipped with the enough knowledge to start and embark on working on the project. In the light of this knowledge, be thorough about market research and details you gather for the development of the online commerce app. In order to craft scalable app, find a veteran marketplace app development company that has a clean track record, powerful testimonials and ability to offer mature customer-centric capability to your platform.